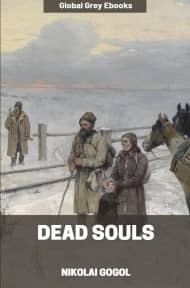 Since its publication in 1842, Dead Souls has been celebrated as a supremely realistic portrait of provincial Russian life. 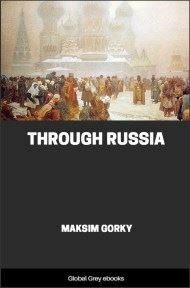 Chichikov, combs the back country wheeling and dealing for "dead souls" (deceased serfs who still represent money to anyone sharp enough to trade in them), and we are introduced to a Dickensian cast of peasants, landowners, and conniving petty officials, few of whom can resist the seductive illogic of Chichikov's proposition. 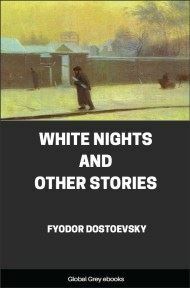 Although the novel ends in mid-sentence, it is usually regarded as complete in the extant form. 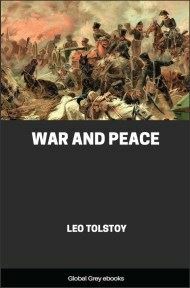 To the door of an inn in the provincial town of N. there drew up a smart britchka—a light spring-carriage of the sort affected by bachelors, retired lieutenant-colonels, staff-captains, land-owners possessed of about a hundred souls, and, in short, all persons who rank as gentlemen of the intermediate category. In the britchka was seated such a gentleman—a man who, though not handsome, was not ill-favoured, not over-fat, and not over-thin. Also, though not over-elderly, he was not over-young. His arrival produced no stir in the town, and was accompanied by no particular incident, beyond that a couple of peasants who happened to be standing at the door of a dramshop exchanged a few comments with reference to the equipage rather than to the individual who was seated in it. "Look at that carriage," one of them said to the other. "Think you it will be going as far as Moscow?" "I think it will," replied his companion. "But not as far as Kazan, eh?" "No, not as far as Kazan." With that the conversation ended. Presently, as the britchka was approaching the inn, it was met by a young man in a pair of very short, very tight breeches of white dimity, a quasi-fashionable frockcoat, and a dickey fastened with a pistol-shaped bronze tie-pin. The young man turned his head as he passed the britchka and eyed it attentively; after which he clapped his hand to his cap (which was in danger of being removed by the wind) and resumed his way. 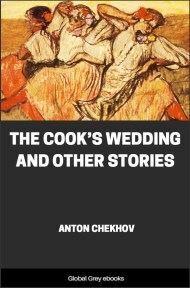 On the vehicle reaching the inn door, its occupant found standing there to welcome him the polevoi, or waiter, of the establishment—an individual of such nimble and brisk movement that even to distinguish the character of his face was impossible. Running out with a napkin in one hand and his lanky form clad in a tailcoat, reaching almost to the nape of his neck, he tossed back his locks, and escorted the gentleman upstairs, along a wooden gallery, and so to the bedchamber which God had prepared for the gentleman's reception. 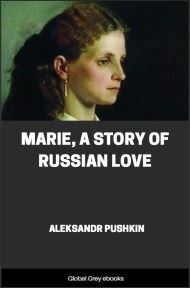 The said bedchamber was of quite ordinary appearance, since the inn belonged to the species to be found in all provincial towns—the species wherein, for two roubles a day, travellers may obtain a room swarming with black-beetles, and communicating by a doorway with the apartment adjoining. True, the doorway may be blocked up with a wardrobe; yet behind it, in all probability, there will be standing a silent, motionless neighbour whose ears are burning to learn every possible detail concerning the latest arrival. The inn's exterior corresponded with its interior. Long, and consisting only of two storeys, the building had its lower half destitute of stucco; with the result that the dark-red bricks, originally more or less dingy, had grown yet dingier under the influence of atmospheric changes. As for the upper half of the building, it was, of course, painted the usual tint of unfading yellow. Within, on the ground floor, there stood a number of benches heaped with horse-collars, rope, and sheepskins; while the window-seat accommodated a sbitentshik , cheek by jowl with a samovar —the latter so closely resembling the former in appearance that, but for the fact of the samovar possessing a pitch-black lip, the samovar and the sbitentshik might have been two of a pair. To resume, however—our traveller removed his cap, and divested his neck of a parti-coloured woollen scarf of the kind which a wife makes for her husband with her own hands, while accompanying the gift with interminable injunctions as to how best such a garment ought to be folded. True, bachelors also wear similar gauds, but, in their case, God alone knows who may have manufactured the articles!